Hey All! It’s Laura from Lavender & Lace and I’m guest posting on Pop & Circumstance today! With Christmas being only a little over a week away, we’re all entering the mad dash to finalize our party menus. 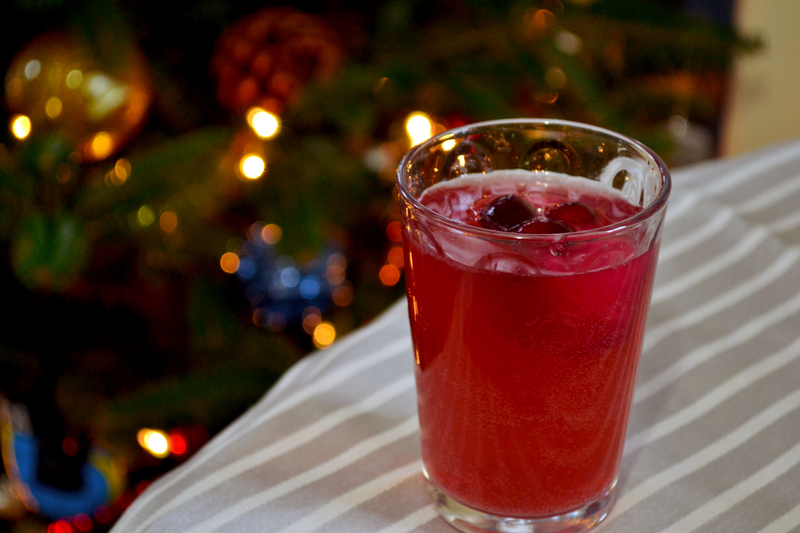 Food nearly always becomes priority so I thought I’d share my absolute favorite holiday punch. I make up a batch for my cookie swap every year and it never disappoints. It embodies all the best holiday flavors – just make sure you tell your guests its spiked because it’s that good! Pour all ingridents together in a pitcher or decanter. Garnish with lemon slices. Let sit for at least an hour. Bring water & sugar to a boil in a saucepan, dissolving the sugar. Let cool for before using. 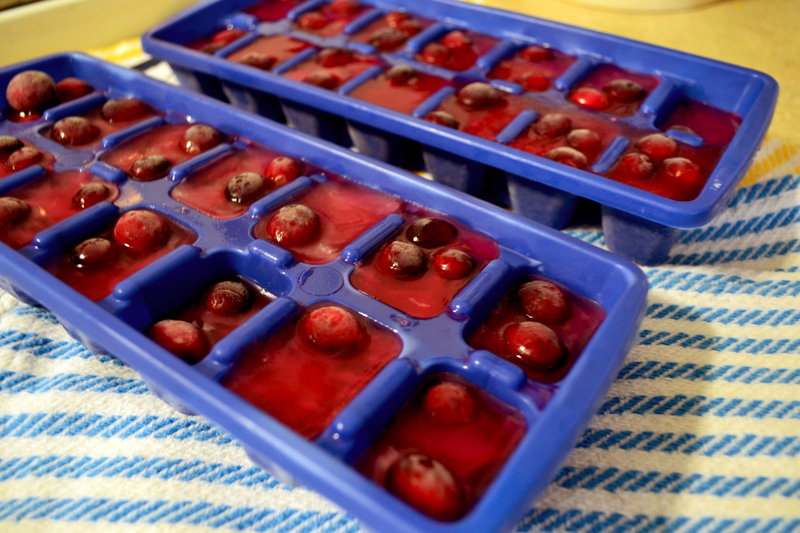 A fun trick is to opt out of regular ice and instead fill your trays with cranberries and juice. When the cube melts in the drink it doesn’t water down the flavor at all and let’s be honest, it looks adorable. I pour my punch into fun, smaller-sized glasses. 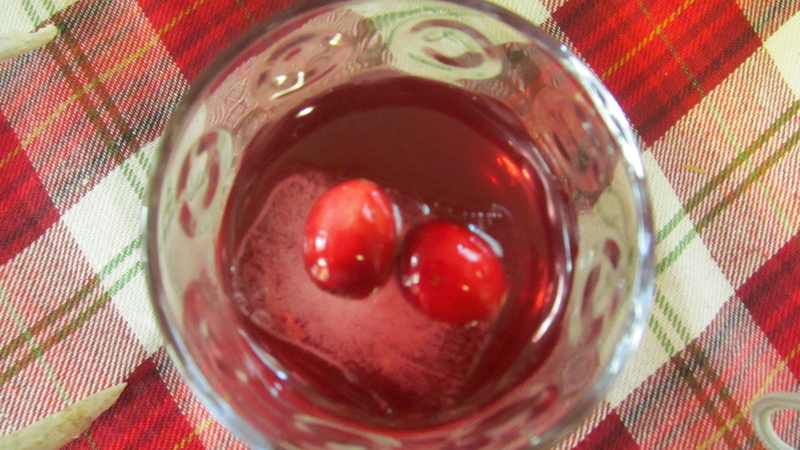 I tend to leave the juice cubed cranberries as the main eye candy for this drink but cranberries on a toothpick bridged on top would be cute as well. Happy Holidays! For more of Laura, check out here blog Lavender & Lace or find her on Instagram. smart idea to make the cran juice ice cubes!